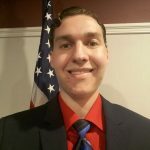 Welcome to the website of Andre Klass, Libertarian Candidate for Seminole County Commission, District 5. While I am still in the process of developing this website, I currently need YOUR help to get on the 2020 ballot. If you are a registered voter in Seminole County, please print and fill out my candidacy petition, and mail it to Andre Klass Campaign, PO Box 470665, Lake Monroe, FL 32747. I need approximately 3,000 petitions to qualify, so your signature would be greatly appreciated. Click here to download my petition!